The year 2019 started at strong for the most prominent global industries. Moreover, it could not be different for the forestry industry, which maintains a fast pace in its main markets around the world. We have compiled some essential points that deserve attention from producers, buyers, and consumers in this industry. Demand for pulpwood will skyrocket during the year 2019, especially for Chinese paper producers. Regarding the market, countries like Brazil and Chile in Latin America will benefit the most, due to their production costs below the international market and fast growth. Besides, fluctuations between Brazilian Reais and US Dollars will also be significant when it comes to price range across the globe. The Asian market for pulpwood will also benefit from high Chinese demand, and the general expectation of industry experts is that pulpwood production will hit record production in 2019. 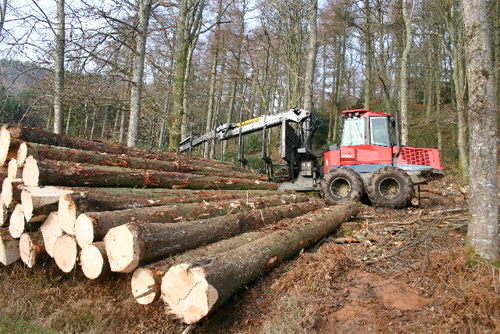 Timidly, the Canadian forestry sector has developed in recent years. With a mix of positivity and concern, producers expect continued growth in the coming years, beginning in 2019, due to high demand from the US market, competitive prices and accelerated production. The Canadian pulp and paper industry becomes the biggest beneficiary of investments for growth in the sector. While producers are already operating at full capacity and expanding their operations, there is still some concern about operations because of the competitive prices from the American neighbors. The demand for quality forest products contributed to the growth of the sector in Finland during 2018, especially after restrictions to China, which generated an export demand in the Nordic country. Economists in the region, however, say that during the year 2019, the primary goal is for stability in the sector, as the world economy tends to stagnate. Even with this stagnation, it is stated that the Finnish forestry industry remains steady until the end of the year. Even with the political issues in the European Union, wood production was generally satisfactory in 2018. Both Brexit and the economic relations between the United States and China gave the European market reasons to return to its production and explore new ways to grow. While production is traditionally geared to the European market itself, the continent is now also benefiting from exports, especially to the Asian market – naming Japan as the primary destination for European timber. The United States also benefited from European production, but the forecast for 2019 is that demand will remain the same. With the next steps on the US-China trading agreements, the production in the US remains strong for lumber due to high internal demand. As well as the 4.9% employment rise in the industry by the end of 2018 and the expectation of three-quarters of the companies intending to hire more labor force, producers are optimistic about the demand starting from the Spring of 2019 when the season finally starts. In 2019 we expect a more stable, profitable and more technology-driven international forestry sector. That’s the main reason why Timbeter is becoming so important when it comes to trade and operational control. Our team is working on improvements in 2019 that will benefit customers worldwide, making measurements even faster and more accurate, as well as customizing functions and making the solution even better for those who need it the most. Stay tuned for all the improvements that will be implemented during 2019 on our blog. Do you have suggestions or want to share your opinion with us? Get in touch at info@timbeter.com. Sustainability – why does it matter?